"They are grateful for any kind of help. The cats' glances tell us that they are thankful." In recent days, much of Europe has been reeling from a deadly winter chill. But as the temperatures continue to reach dangerous lows, the warmth of human kindness has endured. Since the extreme weather began, this shop in Turkey has opened its doors to animals who might otherwise have perished in the cold. 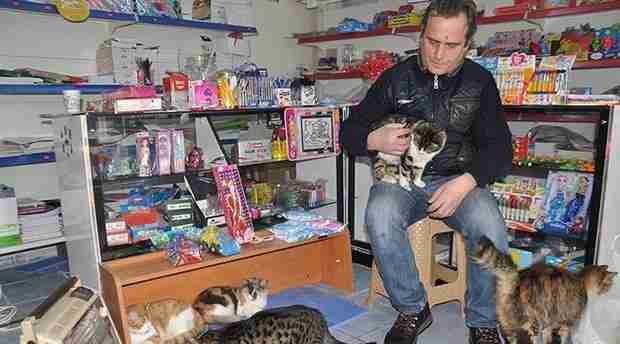 Selçuk Bayal, who runs the small stationery store and cafe in Istanbul, often donates his time to help homeless animals living nearby. 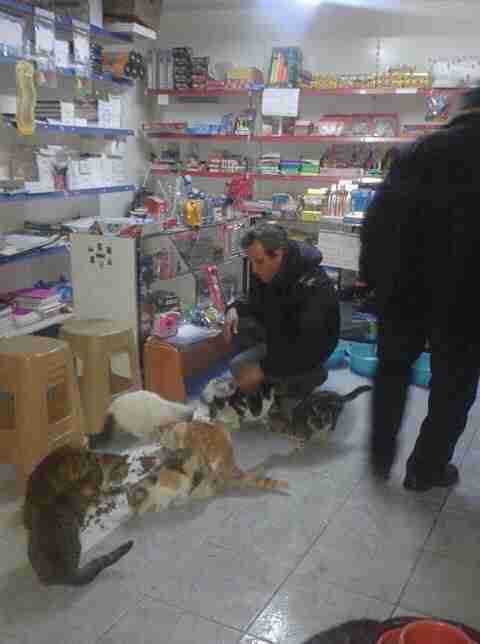 But with the current cold snap, he decided to go even further - by transforming his business into a temporary refuge for nearly a dozen stray cats. "We are human, and these creatures are entrusted to us by God," Bayal tells The Dodo. "We are responsible for looking after them." Bayal's kind gesture toward the cats has earned him the praise of animal lovers, but not everyone stopping by his shop has been so pleased. 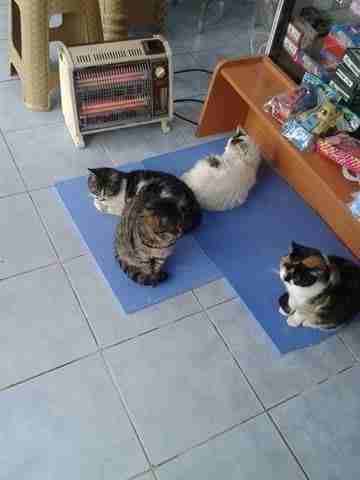 Still, rather than send the cats packing for the sake of profit, the shopkeeper suggested those people take their business elsewhere. 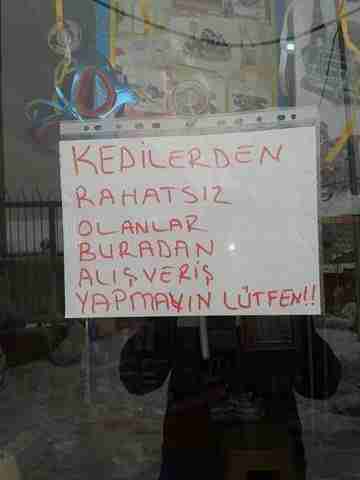 He put up a sign in his store window saying: "Those who are bothered by cats, do not shop here!" Despite potentially losing some customers, helping to keep the cats cozy and fed through the harsh winter comes with its own rewards. "They are grateful for any kind of help. The cats' glances tell us that they are thankful," says Bayal. "Our doors are open to all living creatures - hungry cats, dogs, and even people. It does not matter."